Hamish Anderson has worked for Tate for so long, he’s become part of the fabric of the place. This year marks his 20th anniversary at the gallery group. 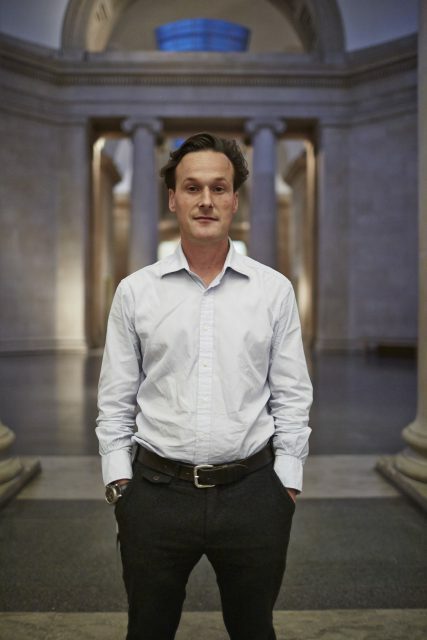 Having been the Tate’s long-time head sommelier and wine buyer, last year Anderson was promoted to the role of chief executive of Tate Catering for the group’s four sites: Tate Britain; Tate Modern; Tate Liverpool; and Tate St. Ives, in Cornwall. A bottle of 1982 Les Forts de Latour set Anderson on his wine path. Having found his passion, his first few sommelier shifts at Terence Conran’s Bibendum in Chelsea didn’t go swimmingly. “During one of my first shifts I opened a bottle of Champagne and the cork slipped from my grasp, hit the ceiling and landed on a nearby table. There was silence, followed by clapping. The mark on the ceiling was there for the rest of my employment, so I was never allowed to forget it,” he says. Undeterred, Anderson cracked on, spurred on by the guidance of Matthew Jukes, whom he still counts as a good friend. Joining the Tate group in 1998, Anderson has consistently championed high-quality wines at affordable prices at Tate Britain’s Rex Whistler restaurant, which opened in 1927 as the Tate Gallery refreshment room, and features a Whistler mural depicting a royal party travelling the world in search of exotic food. To get his hands on Bordeaux that isn’t eye-wateringly expensive, Anderson makes regular trips to the region and buys the wines en primeur, as he does with the Burgundies on his list. Unusually for London, Rex Whistler is only open for lunch, so half bottles of the likes of English fizz Nyetimber, Lebanese star Château Musar and dreamy California Cabernet blend Ridge Monte Bello do a roaring trade. Anderson also lists his vintage Champagnes at close to retail price, and allows guests to bring their own wine for £15 corkage, so long as they buy an additional bottle from the list. As well as wine, Anderson is a keen champion of craft beers, particularly those brewed locally. In his spare time, Anderson writes a weekly wine column for the Saturday Telegraph magazine and features for Telegraph Men. His book, Great Wine for Everyday Life, has sold more than 15,000 copies. Topping his wine bucket list is 1976 Grange, though he’d also love to try some pre-communist era Tokaji. The self-confessed Pinot Noir nut has served many a colourful character in his time, including acclaimed Icelandic singer-songwriter Björk.